A podcast about home brewing, craft beer, outdoors, a little bit of sports, and some rambling with a song or two thrown in. In this episode, I talk about the very basics of brewing your own beer. After that, I bring up some points that will hopefully help some of you that may be interested in homebrewing decide is this hobby is right for you. This week I talk about the game between Stanford and Notre Dame. After, that we discuss the Browns and Raiders match-up. We have some solid featured beers for this one too. I may have had 1 1/2 too many before recording this episode. In this episode of the HopHead Hardware Homebrew Podcast I discuss Oktoberfest. I briefly cover the history of Oktoberfest (the event) and then move onto the beer style. I cover what to expect from a proper Oktoberfest and I give a simple recipe for the style. In this episode, I spotlight the Match-up between South Carolina and Vanderbilt. I talk about a beer out of Nashville. Our pick for the NFL game of the week is the battle between the Dallas Cowboys and the Seattle Seahawks. I discuss a beer from Dallas, TX. Throw in a few more college football picks and we have an episode! How will my picks hold up? The Oktoberfest episode is almost ready! In the first edition of this new segment, I spotlight the catfight between the LSU Tigers and the Auburn Tigers. I talk about a beer out of Baton Rouge. I, then, highlight the game between the Philadelphia Eagles and the Tampa Bay Buccaneers. I also tell you about a beer out of Tampa. Throw in a few more college football picks and we have an episode! How will my picks hold up? The static in the intro goes away. MP3 is a lossy format :( We're still learning this audio processing game. I needed to test out the new microphone so I cracked open some cheap beer and started talking. The audio is better but I see/hear some adjustments that need to be made after reviewing the audio. 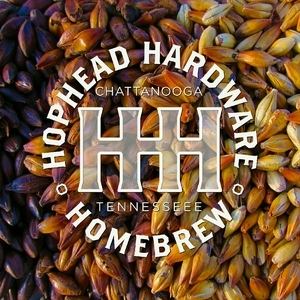 Connect with me at HopHeadHardware.com and let me know what you want to hear. In this episode, I fight through a cold to talk about porters. I discuss some issues with commercial porters and give a simple recipe to build off of. Hopefully, the cold isn't TOO noticeable. In this episode, I say "and um" a lot. I also talk about how to learn to pick-up flavors from different ingredients in beer. I also explain why I hate beer festivals and why that may change. PBR's were drank and the English language may have suffered because of it. Cheers! In this episode I talk about my latest batch and the unfortunate situation at Tallgrass Brewing. I also tell you about Watermark Brewing and my recent trip to Nashville. I think that we're drinking our hazy IPAs before they are in their prime. In this episode I talk about HopSlam 2018, my upcoming brew day, have an app glitch, and talk a little about ie Pants Chocolate Oatmeal Porter. I give a very basic breakdown of the most common homebrewing methods to help an aspiring brewer make decisions on where to start their beer making journey.